Enter USJ via the VIP fast track to be among the first at The Wizarding World of Harry Potter and other rides! Don't forget to purchase your 1 Day E-Ticket to enter USJ! Don't miss the Harukas 300 experience at the tallest building in Japan with entry included in the package! Be sure to check out the Tenku Hanabi ‐ FIREWORKS BY NAKED evening event at Harukas 300! Enjoy the incredible experience of a USJ pass, now with the added benefits of a VIP pass. With the VIP pass, cut down on waiting time as you're given exclusive knowledge of the secretive opening hours in advance, giving you the opportunity to start the day with a number of trips to the best and most popular rides. What's more, be first in line to pick up a ticket for the magical Wizarding World of Harry Potter. 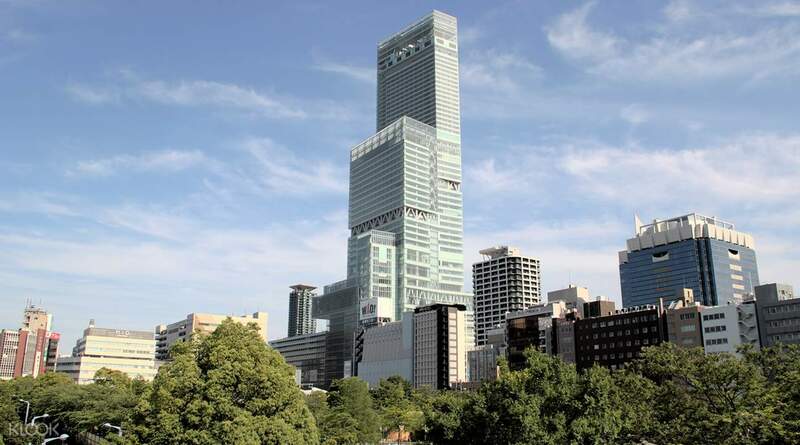 If that wasn't enough, your ticket also includes entry to Harukas 300, one of Osaka's most iconic landmark skyscrapers. 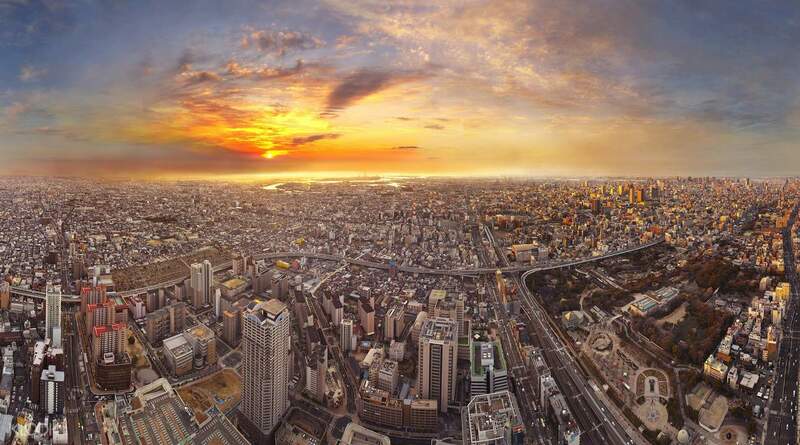 Finish the day by gazing out from the observation deck and enjoy the incredible views of Osaka city. 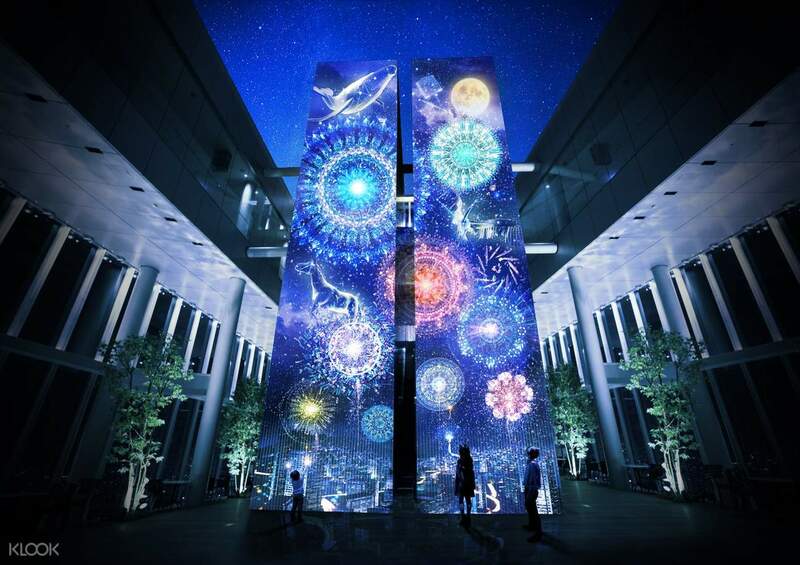 Be amazed by the FIREWORKS BY NAKED high-tech display at the observation deck"
The view from Harukas was stunning! definitely worth a visit. You'll need to go 1 day before your planned USJ day to collect your VIP wristbands as well. For us, with the VIP wristbands we were let in during the park opening time along with everyone else but it does save you the time of lining up in the long general admissions lines which can take a while to get in. Our main aim was to get to the Wizarding World which did not have timed tickets on the day we were there, and we were able to get on the ride quite early on. So all in all, would recommend the VIP Wristband if you don't plan to get an express pass. The view from Harukas was stunning! definitely worth a visit. You'll need to go 1 day before your planned USJ day to collect your VIP wristbands as well. For us, with the VIP wristbands we were let in during the park opening time along with everyone else but it does save you the time of lining up in the long general admissions lines which can take a while to get in. Our main aim was to get to the Wizarding World which did not have timed tickets on the day we were there, and we were able to get on the ride quite early on. So all in all, would recommend the VIP Wristband if you don't plan to get an express pass. The claiming process is very quick and easy. The elevators going up has a nice visual displays that feels like you are in a space warp. The view above is nice though it was rainy when I came. For the USJ VIP pass, time of entry is same as the regular visitors. The difference is that you have a separate entrance. The claiming process is very quick and easy. The elevators going up has a nice visual displays that feels like you are in a space warp. The view above is nice though it was rainy when I came. For the USJ VIP pass, time of entry is same as the regular visitors. The difference is that you have a separate entrance. Harukas 300 is really worth it. We went at night and it was so beautiful. Unlike Tokyo Skytree tower, the view is not obstructed. There’s this area on top where it’s open and you get the cool breeze in the winter. For the USJ VIP pass, we basically gather at a shop and the door opens at their opening hour. We go in exactly the same time as the rest, but we saved the time of scanning the ticket because our tickets were already checked beforehand. Going in at a different area also means you don’t squeeze with the main bigger crowd. You just squeeze with another smaller crowd and run in as the door opens. There would be either a sign or a queue so you know where to go when you reach. Otherwise, the staff can help you too! Harukas 300 is really worth it. We went at night and it was so beautiful. Unlike Tokyo Skytree tower, the view is not obstructed. There’s this area on top where it’s open and you get the cool breeze in the winter. For the USJ VIP pass, we basically gather at a shop and the door opens at their opening hour. We go in exactly the same time as the rest, but we saved the time of scanning the ticket because our tickets were already checked beforehand. Going in at a different area also means you don’t squeeze with the main bigger crowd. You just squeeze with another smaller crowd and run in as the door opens. There would be either a sign or a queue so you know where to go when you reach. Otherwise, the staff can help you too! The band is only help you to get into the park slight faster (not earlier) then the public. But not very usefu if you still have to run to the park if you want to take the first ride at the shortest queue. And the troubleome is you have to visit Harukas 300 the day before your usj to collect the wristband. But Hurakas 300 is worth to visit is you like to view scenery. The band is only help you to get into the park slight faster (not earlier) then the public. But not very usefu if you still have to run to the park if you want to take the first ride at the shortest queue. And the troubleome is you have to visit Harukas 300 the day before your usj to collect the wristband. But Hurakas 300 is worth to visit is you like to view scenery. Easy pick-up. Definitely worth it. The view from Harukas 300 was absolutely amazing! Plus, the VIP pass for USJ allowed us to go on 2 rides (Harry Potter) even before the gates opened. Read: no lines at all! 😊 Had to race everybody first though but it was a fun and amazing experience. Was able to take photos at the Wizarding World too before it got top crowded. Easy pick-up. Definitely worth it. The view from Harukas 300 was absolutely amazing! Plus, the VIP pass for USJ allowed us to go on 2 rides (Harry Potter) even before the gates opened. Read: no lines at all! 😊 Had to race everybody first though but it was a fun and amazing experience. Was able to take photos at the Wizarding World too before it got top crowded. I think Harukas 300 Observatory is one of the places to visit absolutely in Osaka!! The view was amazing, even in the bathroom. It's fast and easy to get the tickets with the wristband for USJ. I recommend to take the wristbands because we could be the first people in the line at the VIP entrance (if you arrive few minutes before the given time). I don't regret my choice to have bought this, definitely worthed it!! I think Harukas 300 Observatory is one of the places to visit absolutely in Osaka!! The view was amazing, even in the bathroom. It's fast and easy to get the tickets with the wristband for USJ. I recommend to take the wristbands because we could be the first people in the line at the VIP entrance (if you arrive few minutes before the given time). I don't regret my choice to have bought this, definitely worthed it!! awesome view up the harukas and great experience having the vip wristband for USJ! It was definitely a must have if you are planning to go USJ as an alternative to the Express pass. go get it! awesome view up the harukas and great experience having the vip wristband for USJ! It was definitely a must have if you are planning to go USJ as an alternative to the Express pass. go get it! It was a great experience. Booking with klook is hassle free. Just scan the QR code at the entrance door and vòila! We reaaly had fun herr at USJ. We love the Harry Potter ride and the Jaws ride. It was a great experience. Booking with klook is hassle free. Just scan the QR code at the entrance door and vòila! We reaaly had fun herr at USJ. We love the Harry Potter ride and the Jaws ride. The ticket is supper convenient. No need to line up which save us a lot of time. The night view was very beautiful. We can enter the Universal half hour ago compared others. The ticket is supper convenient. No need to line up which save us a lot of time. The night view was very beautiful. We can enter the Universal half hour ago compared others. Q: What is the VIP wristband? This VIP wristband lets you enter Universal Studios Japan at a special time, before the general public enters the park, allowing you to beat the crowds to popular attractions such as the Wizarding World of Harry Potter. However, there is no guarantee that you will be able to skip the line for any particular rides. Q: Do children need a VIP wristband? A: Children also need to have a VIP wristband to enter the park earlier. The VIP wristbands are the same price as the adult wristbands; there are no discount child VIP wristbands. Q: When should I collect the wristband? Should I pick up the wristband X days before visiting USJ? A: You can collect the VIP wristband on any day before your scheduled visit to USJ. 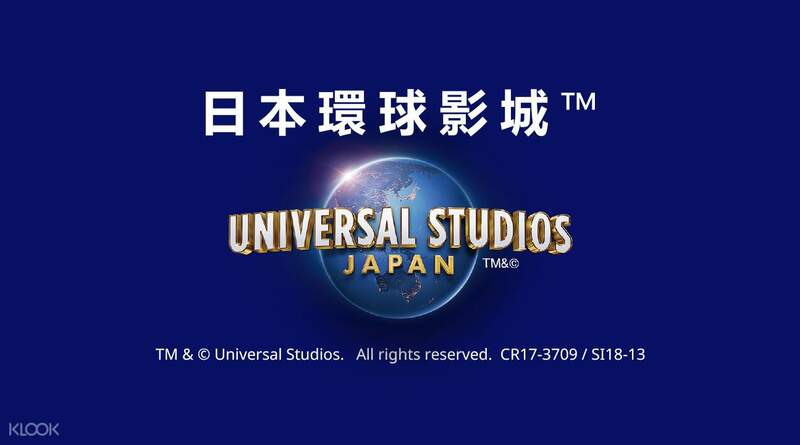 However, please note that you MUST visit USJ on the scheduled date chosen at booking. Q: What time can I enter USJ with the VIP wristband? How do I know when USJ will open on the day I visit? How much time will I have inside the park before it opens to the general public? A: USJ will publish the VIP wristband entry times on a special website. When you receive your VIP wristband at Harukas, you will also receive a password that you can enter into the website to find out your VIP entry time. VIP entry begins before the official opening hour. The exact time varies from day to day, but you should have enough time to beat the crowds and be among the first to enter the most popular attractions.